Though there is not a great emphasis placed on showing here at Meredith Manor, it is an aspect of the horse industry about which we feel the students must have knowledge. As a student, you will take several showing classes. Showing I covers showing in broad terms to cover all the different disciplines. After taking this course you will choose which specialized field you wish to work in and you will take a closer look at the judging side of those shows. 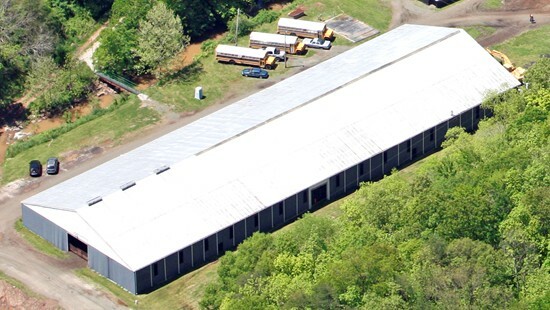 Randolph Arena is the site of three quarterly shows where students can put into practice what they are learning in their various showing and riding classes. Participation in these shows varies depending on the student's knowledge. In any given show the students may be competitors, show secretaries, ring masters, announcers, ready ring crew, and judges. This allows the students to become familiar with many aspects of the showing industry. 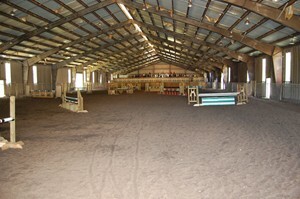 Randolph Arena is also the site of several advanced riding classes and training classes. Now we will move on to the cafeteria, where students can eat and stay informed. I have a lot of very valuable knowledge that I can use to help people. The average 21-year-old doesn’t have a system, doesn’t have a solid background. Other than the saddle time you spend at Meredith Manor, having that system is probably the most valuable thing you learn. You can always go back to it.